with a very good memory . 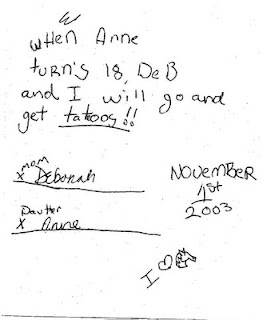 . .
Today, she is 18 and this evening, we get tattoos.